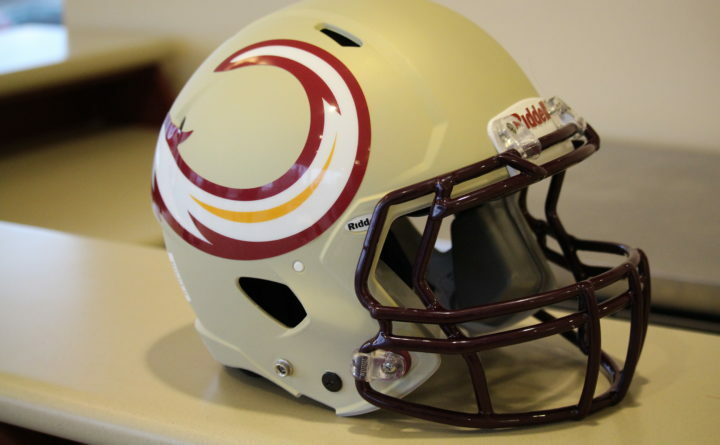 The helmet for Portland's professional arena football team, the Maine Mammoths. The Maine Mammoths are putting their upcoming 2019 season on hiatus as the football franchise searches for a new owner. Portland’s Cross Insurance Arena is working to fill up the space the Maine Mammoths are leaving behind as they take a hiatus during their search for an owner. The arena’s general manager, Melanie Henkes, said that the announcement came as a complete surprise. Henkes said she hopes vendors come forward to book additional dates to avoid a financial loss in 2019. The Mammoths are in talks with several different ownership groups. Over the upcoming weeks, refunds will be given to all the season ticket holders.